Our high-school students — the River Watchers — lead Austin’s efforts to track and understand the quality of the Colorado River and the streams that feed into it. Our mission is to advance personal and academic achievement through environmental monitoring, education, and adventure. ——– Nearly twenty years ago, with initial funding and long-term support from the City of Austin and LCRA, Austin Youth River Watch began teaching students to collect and track water-quality data. Students also learned leadership skills, mentored each other, and worked toward high-school graduation and beyond. 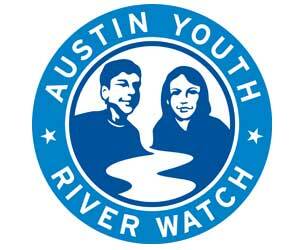 ——– Austin Youth River Watch now intensively serves about 120 students per year from 10 high schools in the Austin Independent School District. Our success rate speaks for itself: The high school graduation rate of our River Watchers over the course of almost 20 years is nearly 100%.